Rare handmade furniture and other items collected from around the world for sales at great prices. Items include appliances, bedroom furniture, living room furniture and dining room furniture. Most items are designer handmade high quality items. 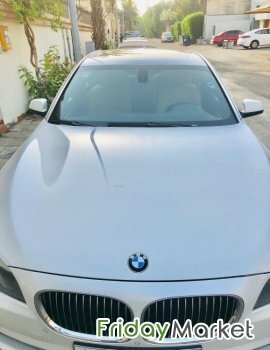 BMW 7 SERIES 730Li 2012 White GCC Specs Full Option Done 98,000km for SAR 68,000. 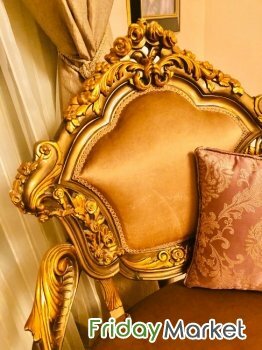 Golden Set 3seater+4chairs+3tables handmade. Originally paid 21,600 selling price SAR 7,900. Dinning Set 8 chairs + table, handmade very heavy wood. Originally paid 14,000 selling price SAR 5,900. 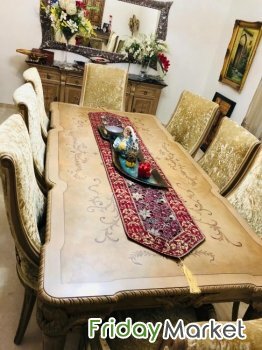 Side Dinning Table with marble top. 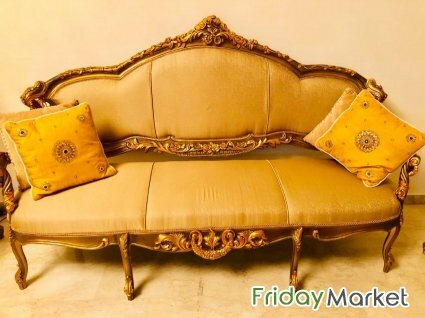 Originally paid 6,000 selling price SAR 2,600. Side Dinning with Cabinet. Originally paid 5,600 selling price SAR 2,000. 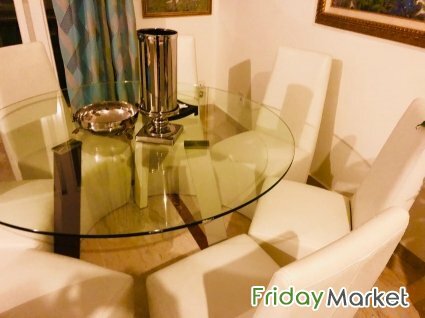 Dinning Set Round glass top with 6 white chairs. Originally paid 5,600 selling price SAR 1,490. Dressing table designer white. Originally paid 3400, selling price SAR 900. 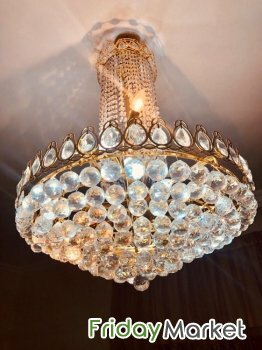 Two Chandelier hanging. Originally paid 4800 each, selling price SAR 900 each. Set of 3-Lamps floor and tables. Originally paid 2000+ selling price SAR 600. Closet set heavy duty. Originally paid 6600, selling price SAR 1200. Designer Bedroom Set California King w/o mattress. Two side drawers, 1 dressing table with chair, 1 big drawers for clothes. Originally paid 18, 840, selling price SAR 7,900. 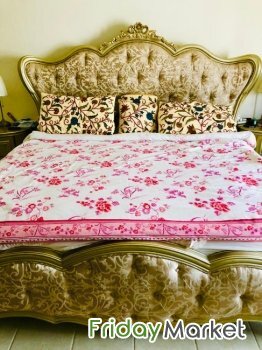 Queen Bed with mattress. selling price SAR 790. Plants and other household items reasonable offers accepted.